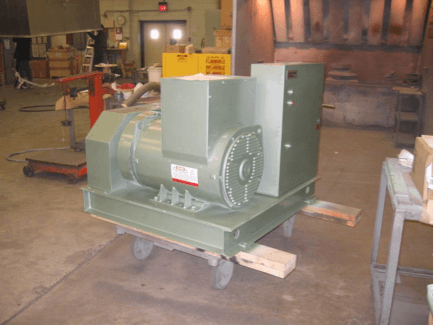 Refurbished Belt-coupled Motor Generator set, 50 to 60 Hz, 300+ KVA, with meters. Motor Starter and Output CB can be also be supplied. We can configure these as 60 to 50 Hz units at ~250 KVA output.